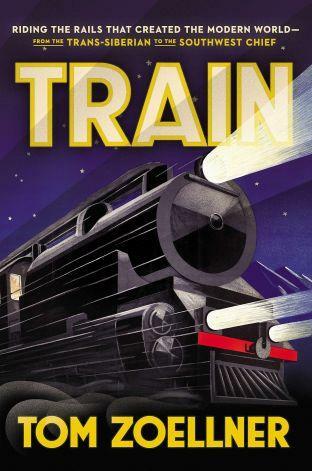 From the frigid trans-Siberian railroad to the antiquated Indian Railways to the futuristic MagLev trains, Tom Zoellner offers a stirring story of man’s relationship with trains. In Train: Riding the Rails That Created the Modern World—from the Trans-Siberian to the Southwest Chief, he examines both the mechanics of the rails and their engines and how they helped societies evolve. Not only do trains transport people and goods in an efficient manner, but they also reduce pollution and dependency upon oil. Zoellner also considers America’s culture of ambivalence to mass transit, using the perpetually stalled line between Los Angeles and San Francisco as a case study in bureaucracy and public indifference. When she was just seventeen, independent and ambitious Elizabeth Scarboro fell in love with irreverent and irresistible Stephen. She knew he had cystic fibrosis, that he was expected to live only until the age of thirty or so, and that soon she’d have a choice to make. She could set out to travel, date, and lead the adventurous life she’d imagined, or she could be with Stephen, who came with an urgency of his own. In choosing him, Scarboro embraced another kind of adventure—simultaneously joyous and heartrending—staying with Stephen and building a life in the ten years they’d have together. The illness would be present in the background of their lives and then ever-more-insistently in the foreground. Scarboro tells her story of fierce love and its limitations with humor, grace, and remarkable bravery in My Foreign Cities. It is a portrait of a young couple approaching mortality with reckless abandon, gleefully outrunning it for as long as they can. In her new memoir, Flyover Lives, Johnson explores the Midwest and the family’s history. In digging around, she discovered letters and memoirs written by generations of stalwart pioneer ancestors. Dana Goodyear discusses all this and more in her new book, Anything That Moves: Renegade Chefs, Fearless Eaters, and the Making of a New American Food Culture. Award winning documentary filmmaker, Ken Burns, will be at the Memorial Hall in Shelburne Falls, MA on February 12 at 7pm to present clips from his new seven-part film The Roosevelts: An Intimate History. The 14 hour film will air on PBS later this year. The event will help the Arms Library raise money for the first phase of a multi-year project to restore the historic Pratt Memorial Library Building. To reserve tickets call 413 625 0306. “The Roosevelts” weaves together the stories of Theodore, Franklin, and Eleanor Roosevelt – three members of one of the most prominent and influential families in American politics. Ken Burns has been making films for more than thirty years. Since the Academy Award nominated Brooklyn Bridge in 1981, Ken has gone on to direct and produce some of the most acclaimed historical documentaries ever made, including The Civil War, Baseball, Jazz, The National Parks: America’s Best Idea, The Dust Bowl – and many others. The arrival of the Beatles was one of those unforgettable cultural touchstones. Through the voices of those who witnessed it or were swept up in it indirectly, The Beatles Are Here! explores the emotional impact—some might call it hysteria—of the Fab Four’s February 1964 dramatic landing on our shores. This intimate and entertaining collection arose from writer Penelope Rowlands’s own Beatlemaniac phase: she was one of the screaming girls captured in an iconic photograph that has since been published around the world—and is displayed on the cover of this book.